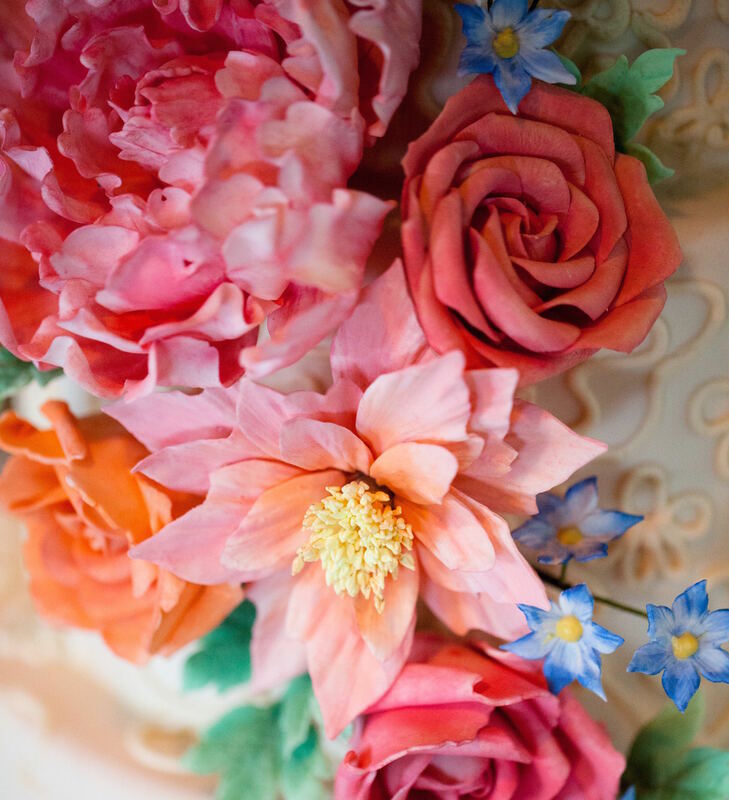 I know I said this was going to be about my favorite cakes of 2014, but I just had to include a post dedicated to this year’s all-star sugar flowers – the peony & the dahlia. 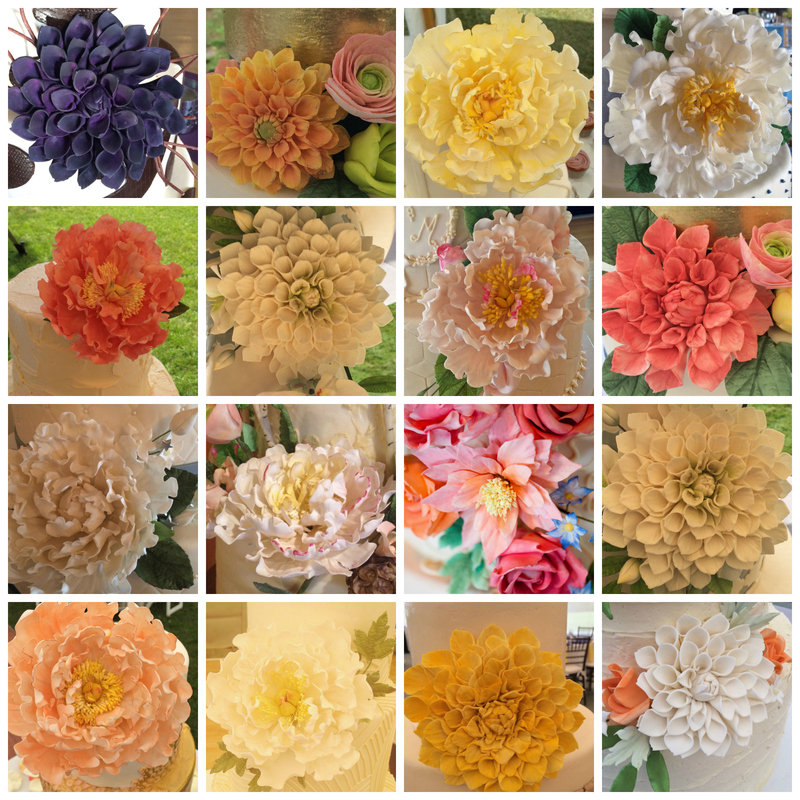 I took far fewer cakes this year than in years past, and I still ended up making sugar peonies and/or dahlias for just about 30 of the wedding cakes that we did. That’s a lot of petals. A lot! I made so many of each flower that I would get paranoid that I’d missed something if there was a cake without one on it! Here’s a look at some of those pretty petals in action. Some of these cakes will make a full appearance in future posts. For now, it’s all about those blooms.